Fashion is defined as a popular trend in the style of one’s attire and even manner. In the 19th century, fashion houses began to emerge, usually created by male designers like Charles Frederick Worth who was the first designer to sew his label on garments he created. In the 20th century, most high fashion was originating from Paris and trickled into London. In the same century, Fashion magazines with photography became very popular in different countries. These publications would send their editors to Paris fashion shows. This gave rise to department stores that would purchase the latest fashions being showcased, stealing the designs, recreating and selling them at different locations. Fashion magazines were responsible for influencing the wide spread of fashion trends and effecting public taste. Today, fashion design has become a competitive art form and is part of many of our daily lives and what sets us apart from others. 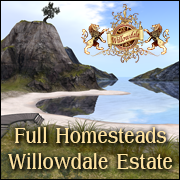 It is a big deal in Second Life just as it is in the real world. Without this form of creativity, people just like avatars would dress alike and it would be difficult for them to show their personal style. 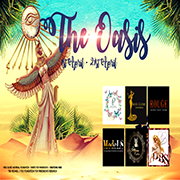 From high fashion couture, formal, casual and active to urban, beachwear, footwear, hair, accessories and fantasy garments; Second Life has a large selection of things to wear. What adds to personal style is attitude to pull off whatever we put together for a unique ensemble. Dougie Boxen is CEO and publisher of Style Kingdom©. For a considerably new fashion publication, it currently boasts over 1000 reads so far for its latest issue. 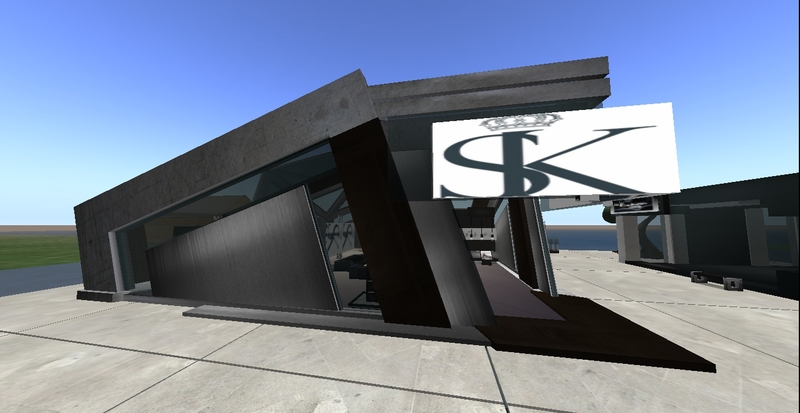 SK is a non-profit magazine that aims to showcase the best styling talents in Second Life. August marks Style Kingdom’s 4th issue. Each issue includes a note from the editor, gorgeous models, new faces in fashion, creative photography and descriptions of the latest trends available in Second Life. The SL Enquirer sat down with Dougie Boxen to learn more about him and his new contribution to SL’s Fashion world. SLE: Hi Dougie, it is always a pleasure to meet a fellow media member here in Second Life. What brought you to SL? 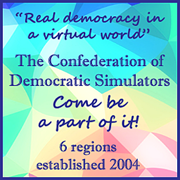 Dougie Boxen: Honestly, I never knew virtual worlds existed till a group of real life friends introduced me to it. They showed me what Second Life was about, that’s when I signed up in March 2008. However, I didn’t have a lot of time and wasn’t too keen on Second Life then so I left my account stagnant till January 2012, where I decided to give Second Life another try. 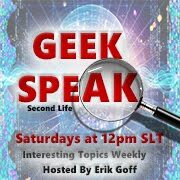 SLE: Would you say SL is an extension of your real life or a hidden talent you discovered here? Dougie Boxen: Second Life isn’t an extension of my real life, the only thing which remains the same is the person I am. 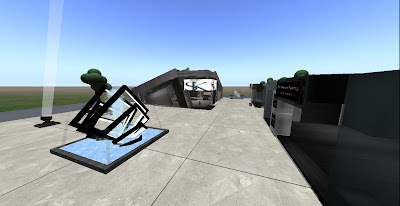 In real life, I work in the banking, finance, business & investment industry while what I do in Second Life has always been an interest of mine which turned out to be quite a fun hobby in Second Life. SLE: It is interesting how we discovery new things to get involved in with Second Life. Since fashion seems to be your main focal point in SL, what does it mean to you and how would you describe your personal style? Dougie Boxen: Even though I don’t work in the fashion industry in real life, fashion has always been a part of my everyday life. I have really good real life friends as well as contacts of many years whom are part of the fashion industry and whenever we meet up, our discussion is mainly about fashion and shopping. I personally love to shop in real life. I don’t think I have a personal style? I enjoy dressing up so I’ll wear whatever’s appropriate to suit the occasion, like a chameleon changing with its environment. SLE: That makes sense. I guess I am a chameleon too. One day I’m in business attire, the next I’m dressed like a Roman goddess. I guess it all depends on our moods too. Here at SLE, we know what it takes to create an active publication and the time it takes behind the scenes to make it happen. By looking through your issues, I can definitely see hard work involved and attention to detail. Tell me about Style Kingdom© and what inspires the type of things found in your issues? 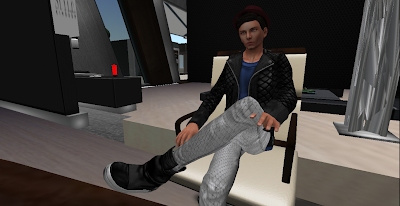 Dougie Boxen: There were certain things in the Second Life fashion community which I didn’t agree on. Forming Style Kingdom Magazine© was a path to do things the way I strongly believed in. To explain the whole story in this interview would be too long, those who know me well would know what it is. The themes found in the magazine are inspired from my experiences in real life, some on a very personal basis. Others are just what I love about Second Life. SLE: That’s a good combination to work with. Can you please tell us about your staff at Style Kingdom©? Having a strong and dedicated team is an important factor in the creation any publication. Dougie Boxen: Yes, having a strong, dedicated & loyal team is important for any publication. I’m really fortunate that most of my team (photographers & staff) consists of my dear family/friends I trust. They never give me any problems and if they have a different opinion/issue, they would always discuss it with me privately & not stir up drama or backstab. For that, I’m deeply grateful. 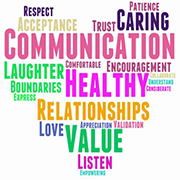 SLE: Trust and communication are definitely important factors in working with others. That is great that you have such a team. When selecting the models and fashion you want in your magazine, what kind of things do you look for? Do you have a specific type of model or style in mind? Dougie Boxen: When I hire/accept models, I don’t look at titles and place only 40% emphasis on their styling. What I treasure and find most important in both real life and Second Life is working attitude. For example; A model can have awesome out-of-this-world styling and won a million titles but is rude and has poor working attitude or worse, a drama backstabbing queen/king, this model either won’t be hired by me or won’t stay hired by me for long. SLE:Yes, I agree. It is all about the attitude! 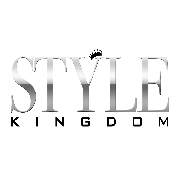 Do you have any advice for models looking to be featured in Style Kingdom©? Dougie Boxen: If you wish to apply, all I need from you is good working attitude. Styling skills can always be worked on if you’re willing to learn from long-time models like my model head Payton Heron as well as others in my team who are always more than happy to help out. SLE: Nice, I’ve heard of Payton Heron. What do you see as a popular trend right now? Dougie Boxen: What I see as a popular trend now will be revealed in my next magazine, Vol 5, which will be a special collaboration with two respected modeling agencies as well as a well-known Second Life book. SLE: Oh cool. 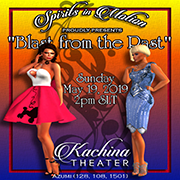 Do you see fashion trends changing any time soon in SL? Dougie Boxen: Oh yes I do, trends in Second Life tend to change as real life trends change. 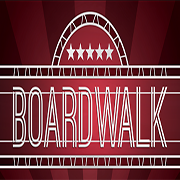 It’s usually seasonal like real life or it can be a particular product used by real life celebrities, which makes it very interesting all the time. SLE: Yes, that is true about the changes in trends. When will your next issue be available? Is there a fee for copies or advertising? Dougie Boxen: My next magazine will be out in Nov, which would also mark our 1 year anniversary. Being a non-profit magazine, I do not charge nor accept donations from stores who wish to advertise in Style Kingdom. Those who wish to read the magazine can simply go to the magazine page on issuu.com as I only publish it as an online publication, no subscription cost involved. SLE: Did you hear that fashion mogals? It’s free to advertise with Style Kingdom! Douge, would you be able to give us a little insider information on anything new you will be including in upcoming issues? Dougie Boxen: There will be something new in the next magazine onwards, I’m sure a fair share of people would have known by now but I’ll just say to look out for our magazine in Nov to see the changes. SLE: Sorry, readers I tried to get you a scoop lol. Do you have a group that people can join to get the latest issue? Dougie Boxen: Yes, I have a magazine group for readers and supporters of the magazine. It’s at my in-world office, at the landing point. SLE: What type of information do you offer at your headquarters? Dougie Boxen: I have magazine kiosks where readers can subscribe to get news of new releases and castings offered. Inside the office, there is a red mailbox on the reception desk where certified models are able to drop their application in the form of a note card if they wish to join the official models team. I’m always open to new talent joining. I believe in keeping the best talent with good working attitude and not restrict it to a specific number. Unless the response is too overwhelming, only then I’d have to curb it. 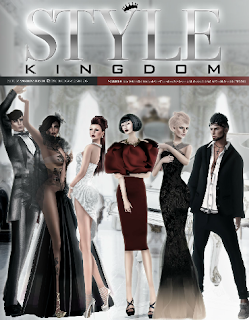 SLE: Is there anything else you would like to tell our readers about Style Kingdom? 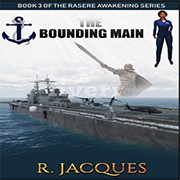 Dougie Boxen: Thank you readers for your continual support and words of encouragement. I appreciate all your feedback and look forward to improving Style Kingdom Magazine. We couldn’t have done it without you!